With just one rich and chewy bite, you’ll be hooked! 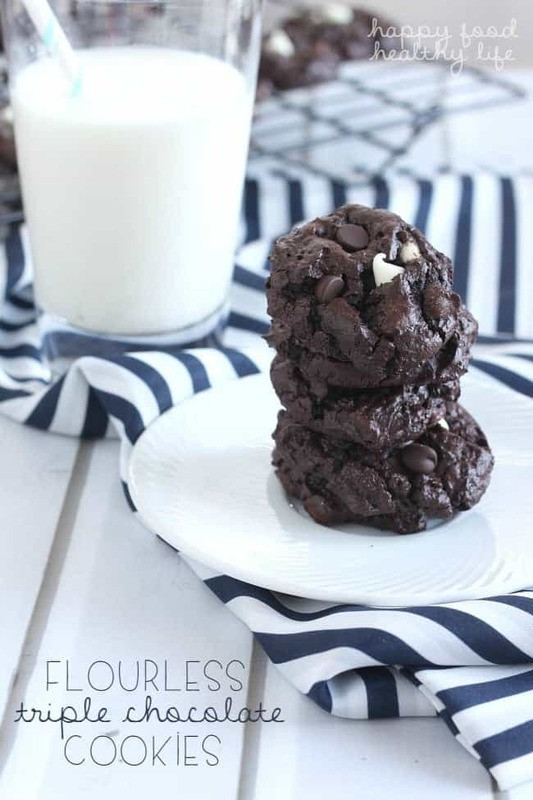 And you’d never guess that these Flourless Triple Chocolate Cookies are Gluten Free! Cookies. Yeah, I kind of have a hard time keeping them around the house. For the most part, I can keep sweets and treats around me with no problem, but there’s just something about cookies that makes me forget about all my goals. Maybe it’s because you can pop them in your mouth in just a couple bites. Maybe it’s because you can pack them with so much ridiculously yummy flavor. Whatever it is, I’m definitely a cookie monster and can’t be trusted around any fresh batch of cookies. Maybe that’s why I’ve only posted a small handful of cookies on the blog – cause I ate them all before I could post them for you. Ok, not really. But I was definitely a little afraid that I would! So my cookie addiction was totally fulfilled this weekend, and I’m zero amounts of guilty about it! That’s right. 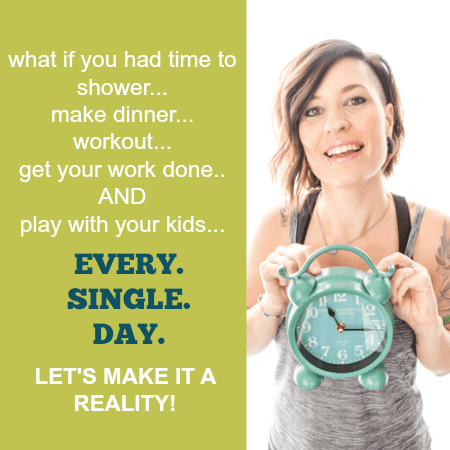 My good friend Brianna from Flippin’ Delicious is the queen of all things Gluten Free! You’ve got to check her blog out if you’re in need of some delicious gluten-free treats. Looking at her gorgeous pictures, you’d never guess that anything was missing in those treats. I know that when a lot of people think about Gluten-Free, they think they have to give up flavor. One bite into these cookies, and I knew that was absolutely not true! Brianna has actually written a cookbook that I have got to tell you about. 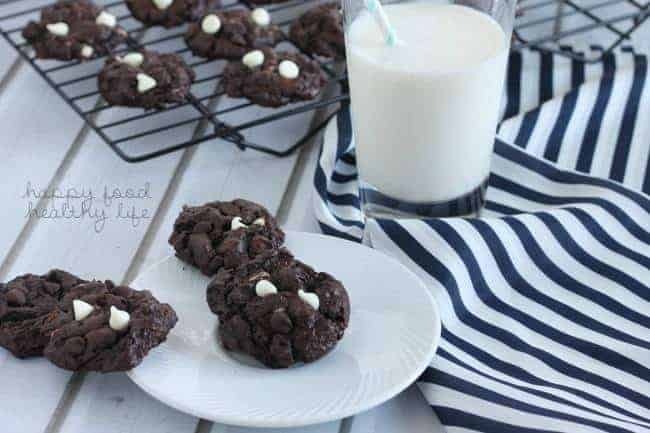 The Essential Gluten-Free Cookie Guide is full of over 50 cookie recipes that are not only delicious but 100% gluten-free. Whoopie Pies, Chewy Coconut Caramel Cookies, and Giant Chewy Chocolate Chip Cookies. These are just a few of the morsels you will find in Brianna’s book. Let me tell you, I had a hard time choosing which one I wanted to share with you today. It was almost the Coconut Caramel Cookies because they reminded me of my favorite Girl Scout Cookie. But instead, I made you these! Does it get better than that? Rich cocoa powder for the cookie base and two different chocolate chips. I was totally sold from the minute I laid eyes on the recipe. And as if I needed more convincing, with the first bite when they came out of the oven, I was ridiculously in love! And then I proceeded to eat 2 more. Thank goodness we were headed to a family party so I could share them – let’s just say they didn’t last long! Preheat your oven to 350 degrees F. Line your baking sheets with parchment paper or a silicone baking mat. In your stand mixer, cream together the butter and sugar. Add the egg and mix until combined. Add the vanilla, salt, baking soda, and cocoa powder, and mix until you have a smooth dough. Reserve approximately 2 Tablespoons of each of the white and chocolate chips for pressing into the tops of the cookies. Stir in the rest of the chips until distributed throughout. Scoop the dough using a 1 1/2 Tablespoon cookie scoop and drop 3 inches apart on your baking sheets. Bake for approximately 10 minutes. They will lose their doughy shine on the top but will still be very soft when they are done. Immediately after they come out of the oven, press a few of the reserved chips into the tops of the cookies. Allow to cool on the baking sheet for several minutes to allow the cookies to firm up before moving to a cooling rack. Be sure to pick up your copy of Brianna’s new book. Perfect for Valentine’s baking or a gift for your loved one. 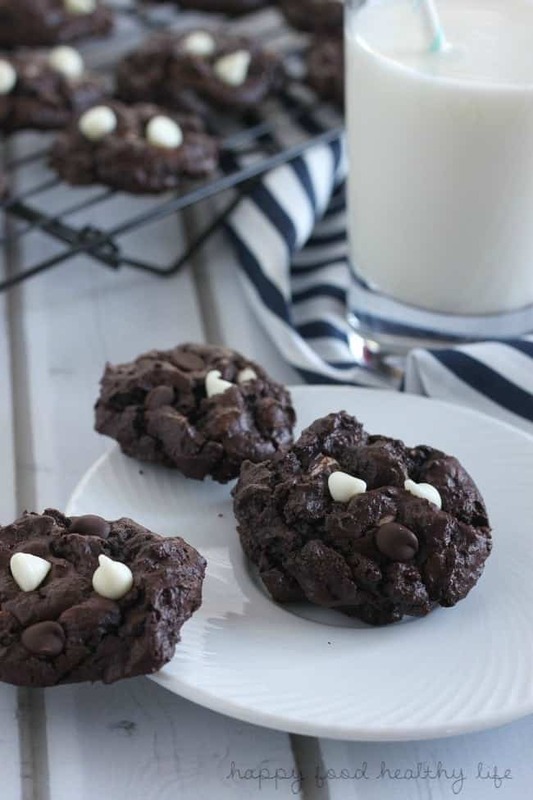 Looking for more healthier cookies? Thanks for linking to my Rice Krispie Treat Cookies! Pinning! These are perfect for all my gluten free friends! Great recipe! They will love them Kristen! oh man, you’re making me crave them again! 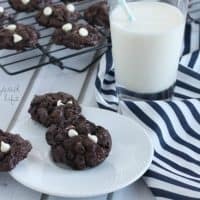 Love how rich and chewy these cookies look! These would disappear in a hurry at my house! Yes, they were gone in a blink of an eye here too!